I love it when the “Best Places to Work” list comes out and you get to read about companies that are getting it right. I was reading this article from the Harvard Business Review about attributes that can help you get on that list. It inspired some thinking on my part. How happy are these employees? What can we do to help them be happy? The article makes a great point: Instead of worrying about what you can get out of your people, shift your thinking to, “What more can I do for my people?” Doing more for your people leads to them giving you great results. Only 20% of employees around the world report that they are fully engaged. REALLY?! Are we so wrapped up in a quarterly report full of numbers that we don’t grasp the simple idea that happy employees make a happy customer? We must be, because if we really believed in that idea, more of the companies we worked for would engage us differently. Here are a few things I think companies should consider in order to make a HUGE impact right away. I actually know this to be true because there are guys out there that do it. Guess what? IT WORKS! Create a nap room if you have the space. We work in the sleep industry, for crying out loud – isn’t this a no-brainer? Research says if you take a short nap during the day, you actually improve your productivity by 36%. I bet your employees would be a lot happier! Care to argue that? Who doesn’t want happier, more productive employees? Develop a program that encourages your employees to cut cost out of your business and once they do, give them a big piece of it. My cousin works at Prime Trucking out of Springfield, Mo., and Robert Low, its president and founder, actually does this. He has shared hundreds of thousands of dollars with his people because of a good idea. What does he care? He keeps the majority of the savings for himself, but gives his employees a taste, along with creating a great incentive to keep cost down. Do you think it adds to employee satisfaction knowing that the ownership is willing to share in the company’s overall success to that degree? 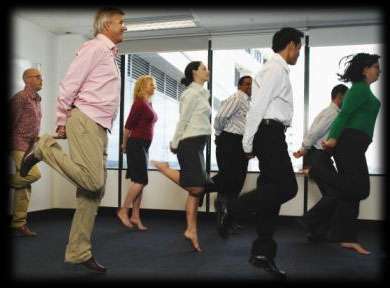 How much time does your company spend thinking of ways to make it FUN to go to work? My wife used to work at American Hotel Register in Chicago, and at least once a week, they would walk around and put chocolate bars on employees’ desks. Recently, I was on the phone with Zappo’s customer service and, hearing a lot of commotion in the background, I asked the agent what was going on. His reply was, “Nothing really, that is just the Friday conga line.” If I tried to start a conga line in my office, I am certain they would think I had lost my mind. The Harvard Business Review says, “Those who report they’re fully invested in their jobs and committed to their employers – are significantly more productive, drive higher customer satisfaction and outperform those who are less engaged.” Somebody please show me the downside here. Why don’t more companies out there understand that a real focus on making their people happy pays out HUGE dividends for the ownership? How does your company do? What am I missing here? What are you thinking? DISCLAIMER: The views and opinions expressed in this blog are mine and mine alone. They do not represent the thinking of the company I work for, or anyone else with whom I am affiliated. Except my wife of course, who is good at telling me what not to say. ⟵Are you full of it?